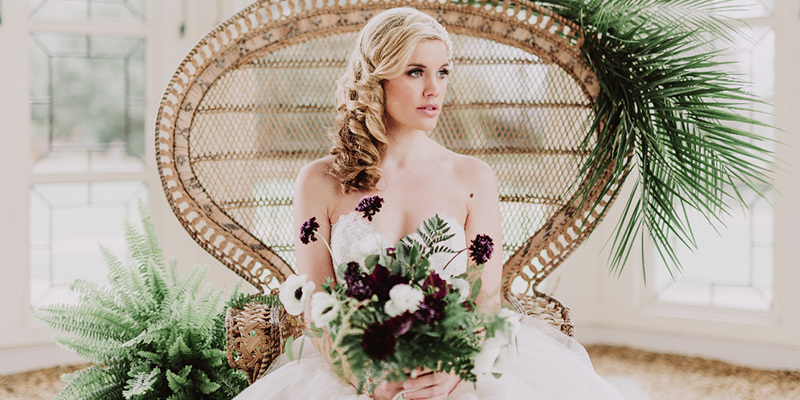 Returning to Penton Park was an absolute joy for this styled shoot. Tasha Newland (ikonworks photography) wanted to create a really pretty, girly lingerie shoot in celebration of Penton opening its doors to its latest room edition – a luxury bridal suite. The brief called for soft loose curls, draped beautifully into the back of the hairstyle – leaving space for small roses from florist Flowers, with wild abandon. I loved this style on curve model Sophie Waldron! It was just so floaty and loose – perfect for the boudoir or wedding ceremony as it’s just so versatile. Image ikonworks | Makeup Frances Moore MUA | Hair Bridal hair in Hampshire | Lingerie Pompadour Couture Lingerie | Venue Penton Park | Flowers Flowers, with wild abandon. For other tips and tricks for your wedding day, contact me at michelle@bridalhairinhampshire.co.uk or use the web form here.